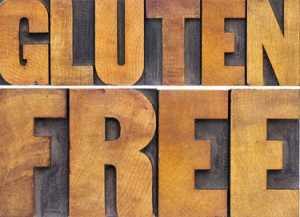 What is Gluten & how does it affect the Body? Gluten is defined as a substance present in grains especially wheat, rye, and barley. Gluten is what’s responsible for the elastic texture of dough. Gluten allergies, also known as Celiac’s disease are an autoimmune condition that affects approximately 1% of the population. Gluten causes problems in a lot of people, but what most don’t know is it’s indigestible in all people. More than likely each and every person that eats foods that contain gluten has an issue with it which means we all of an intolerance to it in one way or another. Gluten allergies react differently to each person based on a number of things. Those things include digestion and absorption in the small intestines. These types of foods can be considered toxic because they attack and could possibly destroy them over time. For some people gluten doesn’t affect them at all, but for others it can make them very sick and could be a matter of life or death. These affects can be different depending on what foods are eaten and how much, which is why it’s important to read labels and know what you can and cannot eat. People react differently to different foods and amounts of gluten so it’s important to treat your Celiac’s disease as your own and not try to match it to someone else with the same problem. The body reacts differently to gluten, but for those that are true Celiac’s, even the smallest amount of gluten can make them very sick. The smallest traces of gluten can come from someone having it on their hands and then touching a door knob without washing their hands first. It could also come from one small bite of food with gluten in it. The damage done to the small intestines can lead to other health problems as well. These health problems can include abdominal pain, diarrhea, and could be the cause of some cancers. Once the damage is done it can’t be reversed so it will be a problem you’ll have to deal with for the rest of your life. 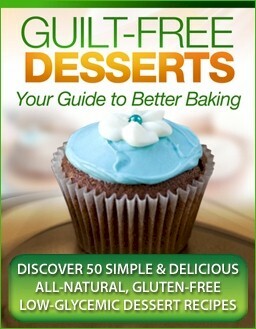 The only way to decrease the problems that are associated with gluten allergies is to avoid eating those foods that contain gluten. While it’s very hard to do, it’s the only way to prevent health issues that could potentially cause death. It’s not worth dealing with the pain and the fear of death when eliminating the foods will eliminate the problem. Gluten is in a lot of the foods we eat every day. It’s in bread, cereal, French fries, pasta, and many of the foods that are processed. While eliminating these foods is hard because they’re in a lot of the foods we eat every day, if you have Celiac’s disease they could be the difference between having a day full of pain and sickness or a day full of energy and happiness because you can do what you want pain free. Taking the time to read labels and watch what you eat will help you to lead a better life. One that will make you feel better and will be free from pain and sickness.